page for heritage album of my parents honeymoon. page done times three for my children. Love hearing the honeymoon story. How awesome that you have these photos! LOVE the page design and the paper choice. It accentuated the vintage feel of the photos. The photo of your parents is priceless. Thanks for sharing it with us. Very heartwarming and lovely layout! Nice car! Great pictures and journaling! 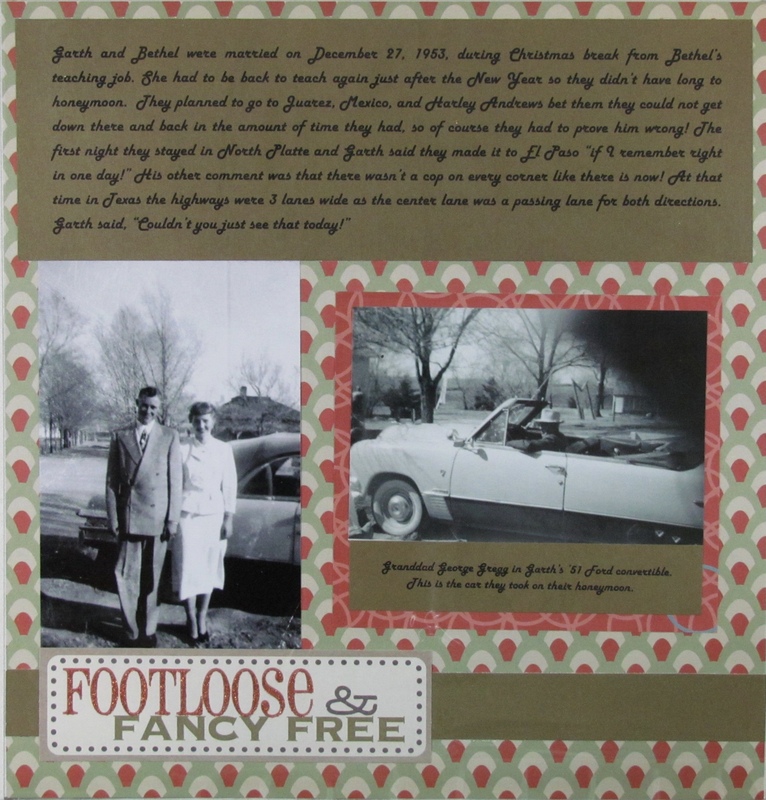 I am loving your heritage pages and journaling. Your parents were a cute couple! Wonderful journaling and photos to pass on to next generations. I love the old pictures.. great story to share. I chuckled over no cops on every corner back then. Such a fun story and a darling looking couple! I bet they caught the eye of many in that cool car flying down the highway- thankfully no patrol officers tho!! Great LO! I bet they had the time of their lives on that honeymoon!! I can see them now flying down the highway!! What a marvelous story to include and one terrific car!! !